Sign up now for a completely free stop sign in your residential neighborhood. 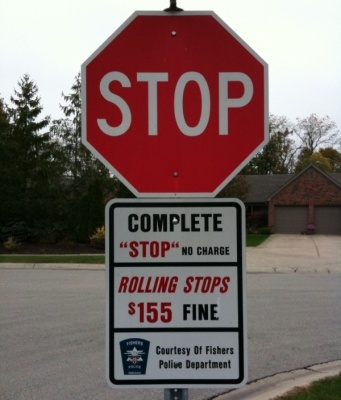 If you would like to upgrade to the rolling stops package you can do so for only $155 per incident. Call one of our friendly officers if you would like to take advantage of our fly-through-at-85mph-while-hammered-with-expired-plates package and get a complimentary one-night stay in the county jail.